Life As It Should Be: If I Were A Boy? 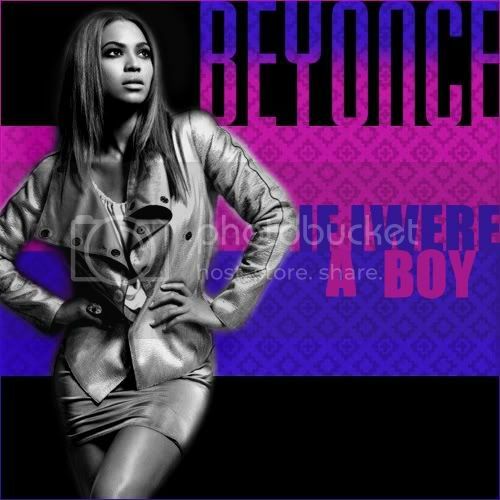 I wasn't a real fan of the Beyonce "If I were a boy" song until I saw the video, which is awesome. The video begins with her in the male role, flirting a little, not picking up her phone when her boyfriend calls and then switches midway to her being in the female role. It made me wonder if men ever put themselves in a woman's' position. I think in most relationships men have the upper hand. They usually have less invested in the relationship and can easily detach themselves from the other person. For my male readers, I'd like to know if you've ever been in the vulnerable position? Have you ever felt disrespected by your significant other as far as cheating was concerned? How would you feel if you were in some of the predicaments women find themselves in? Do you ever understand where a woman is coming from and just choose to ignore it? It would be interesting to see how men view relationships. Add your comments and give my female readers some insight! Thanks poster for the info, I guess I can agree that we've all been hurt. I can tell stories for daysssssss...lol but I can't agree that it takes a piece of you away. I think that's just holding on to the past. When you come to terms with what has happened you realize that it's something you were able to learn from and move on from there. Its' just a life lesson, I can't make every man pay for the mistakes of my ex because every man is not the same, just like every woman isn't. Vulnerability is not a place most men out themselves in. Men normally get hurt one time when they are young then make women pay for the mistakes of that first one. It's not right, but it does happen. I understand where most women are coming from, but I am not going to allow someone to hurt me. Its hard to open up to people, but I am working on it. I here you Rick but if you're not vulnerable than you're not available and if you're available than you're not open to love or be loved.